This entry was posted in New Products on 21/03/2016 by Admin. 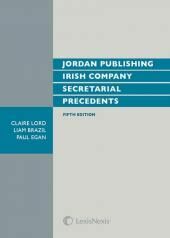 Jordans Company Secretarial Precedents is an essential reference guide for all professionals carrying out company administration work. It contains hundreds of precedents and forms dealing with every aspect of company administration from registration to striking off. Each form and precedent is accompanied by concise details of when and how it should be used, as it relates to both private and unlisted public companies. The New edition takes into account changes introduced by the Small Business, enterprise and Employment Act 2015 which include amendments to the Companies Act 2006 and the Company Directors Disqualification Act 1986. 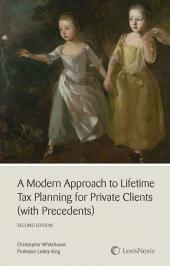 A Modern Approach to Lifetime Tax Planning for Private Clients (with Precedents) published by Jordans deals with the legal aspects of tax planning for private clients. 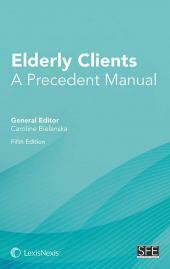 It is a companion volume to the popular A Modern Approach to Wills, Administration and Estate Planning (with Precedents). This work begins by looking at the essential legal framework of giving and tax law through a combination of detailed and authoritative commentary, worked examples and precedents. It then examines specific topics including: trusts and settlements, the family, and looks at particular assets such as the family home, CGT main residence relief, chattels, businesses and farms, investments, and insurance based products. It then goes on to examine tax planning using statutory reliefs and exemptions including joint ownership of land/sharing arrangements, gifts for family maintenance, normal expenditure out of income and charitable giving. This entry was posted in New Products on 03/01/2016 by Admin. The new 5th edition of Sweet & Maxwell’s easy to use, “how-to” guide for the general practitioner by Catherine Sanders shows how to use declarations of trusts to protect clients’ interests. It deals with all situations where a declaration of trust can be used – such as property purchases, wills, insurance policies and company shareholdings – giving step-by-step drafting guidance. This entry was posted in New Products on 09/11/2015 by Admin. 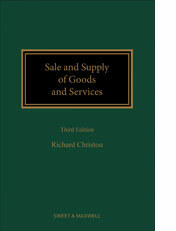 Sale and Supply of Goods and Services 3rd edition by Richard Christou is a practical guide for commercial lawyers providing a comprehensive view of transactions relating to the supply of goods and services. The core of the book deals with pre-contractual issues, the formation of the relevant contracts and the discharge of contractual obligations providing practitioners with the information needed to solve the issues encountered in practice. This edition includes a CD-Rom of precedents. This entry was posted in New Products on 15/12/2014 by Admin. Key common clauses; When to use standard terms; Procedures and good practice; Termination of contracts; Remedies for breach; Specific issues relating to export, software and consumer contracts. It also contains valuable precedents, including expert guidance on Business-to-Business and Business-to-Consumer agreements, providing users with an excellent tool for drafting commercial contracts. 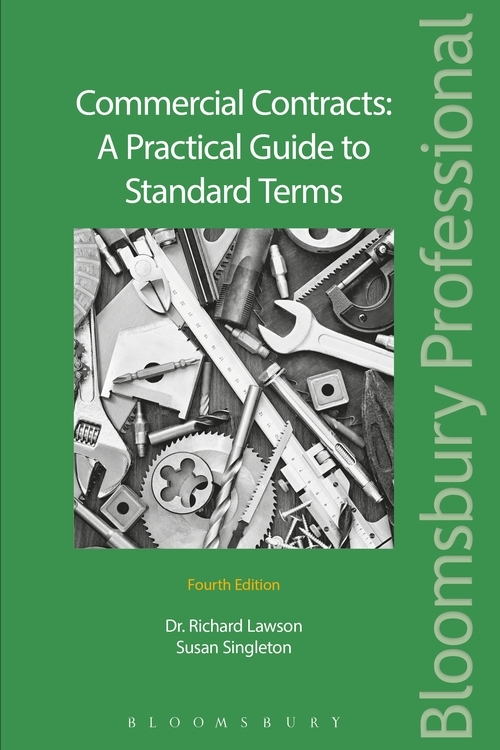 Commercial Contracts: A Practical Guide to Standard Terms, 4th edition is an essential resource for commercial contract drafters helping them to prepare water tight legal agreements and ensure that they are completely clear on what a business must do to stay on the right side of the law. This entry was posted in New Products on 12/12/2014 by Admin. 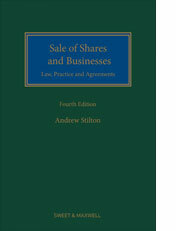 Sale of Shares and Businesses 4th edition, published December 2014, is a comprehensive guide to the acquisition of businesses in the UK, whether the acquisition is structured by way of a purchase of shares or a purchase of assets. This title includes comments and explanations on the main issues which arise on such transactions. In addition to commentary, precedents are included in paper and electronic formats. This entry was posted in New Products on 01/12/2014 by Admin. Published August, the ninth edition of Beswick and Wine: Buying and Selling Private Companies and Businesses by Susan Singleton adopts a practical approach, considering both the vendor’s and seller’s perspective and providing the practitioner with a step-by-step guide to all the legal, taxation and commercial issues involved in buying and selling private companies and businesses. It includes check-lists, draft enquiries, letters of disclosure and a specimen completion agenda, together with an accompanying free disk containing all the precedents in the work. 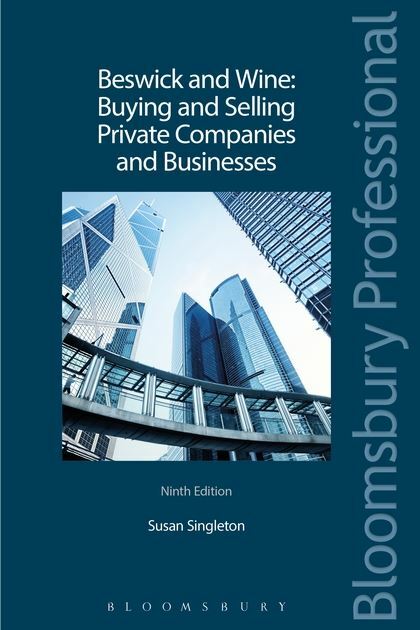 As most acquisitions in the UK are largely private sales, the companies expressed to be bought or sold in the book are unquoted; and limited by shares and incorporated under the Companies Acts; and private. As the sale and purchase process varies depending upon the identity of the party initiating it the book covers the sale process from the seller’s perspective (Part I) and covers the acquisition process from the purchaser’s perspective (Part II) as well as looking at the acquisition agreement (Part III), post-completion (Part IV) and special situations (Part V). It also contains precedents on a CD-ROM (Part VI) including data room rules; an offer letter; share purchase; an offer letter business transfer; a due diligence request; completion agenda; a disclosure letter. Relevant EU law changes in the areas of company law and data protection. This entry was posted in New Products on 13/10/2014 by Admin. 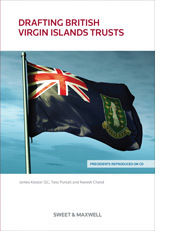 Written by James Kessler QC, Tony Pursall and Naresh Chand, this crucial guide, published August 2014, explains the issues involved in Drafting British Virgin Islands Trusts. The title offers an extensive selection of trust precedents to suit a wide range of requirements, and helps to ensure that practitioners prepare accurate and effective trust documents which precisely meet client requirements and reflect the current law and practice. 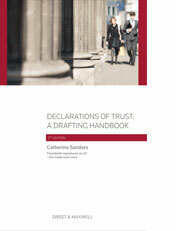 This first edition is based on James Kessler’s Drafting Trusts and Will Trusts – A Modern Approach, 11th edition. The intention is for it to be an aid to the British Virgin Islands drafter, discussing the variety of issues which commonly arise when drafting British Virgin Islands trust documents. The book provides a set of precedents written in plain legal English for the different types of trusts and certain ancillary documents governed by British Virgin Islands law, together with a detailed commentary on the text of those precedents – which are also available on CD-Rom. Information on the various types of trusts including discretionary trusts, purpose trusts, VISTA trusts and charitable trusts. This entry was posted in New Products on 05/09/2014 by Admin. 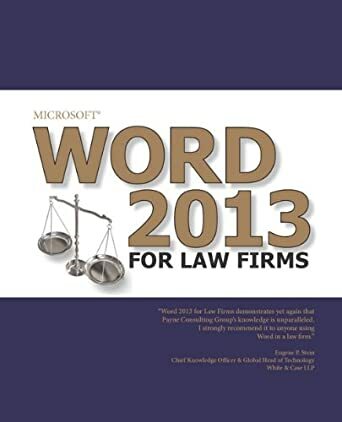 Microsoft Word 2013 for Law Firms is just published and available at a big discount from The Book Depository. This 766 page paperback focuses on those features of Microsoft Word 2013 that are relevant to the legal community, this updated edition of the Payne Group’s market-leading guide to Word provides industry-specific information about Word that will help legal professionals operate effectively and efficiently in their environment. A companion website also includes customized legal templates and documents, hands-on exercises, and practice files, among many other services. Whether they are using Word for the first time or simply updating to the most recent version, readers will find all of the information they’ll need to increase their productivity and make the most out of Microsoft’s word processing program in this expert manual. This entry was posted in New Products on 04/03/2014 by Admin.